Higher minimum wages are good for the economy but you would never know it from Ontario’s experience. Their hike to $14 dollars per hour has taken an ugly turn. Seattle’s experience was quite different. The upset in Ontario is centered on Tim Horton franchises. Cuts to benefits have triggered public outcry in support of employees. Demonstrations took place across Canada at Tim Horton shops last Friday organized by Leadnow.org. The franchisees, themselves, have been abused by their owners: Brazil-based Restaurant Brands International Inc. RBI has been squeezing franchisees for more profits. It’s a toxic business plan that has left franchisees, employees, and customers with a bad taste in their mouth that a double-double won’t sweeten. The flap is damaging the iconic Tim Hortons brand. Low wages discourage productivity because cheap labour can make inefficient businesses profitable. 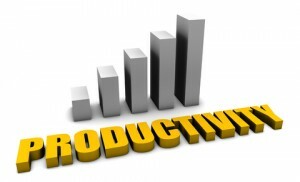 Higher productivity involves streamlining operations and introducing technology. It’s notable that these measures are changes that employers make -low productivity is not the result of “lazy” employees. “It’s really easy to become angry and start acting in injudicious ways,” said an owner of a nail salon in Port Angeles, Washington. He and his wife could have cut back on staff, or turned them into commissioned workers, but they streamlined operations instead. The time taken for each procedure was standardized which meant that more clients could be booked. An automated time-keeping system eliminated the time to manually fill out time sheets. Under different circumstances, staff might have resented seeing more clients a day but with an increase in wages, they were more willing to focus on work. Contrary to the calamity predicted by some doubtful business owners, higher minimum wages don’t result in more unemployment. Studies done by the Organization for Economic Co-operation and Development show those countries with higher wages shift employment from formerly low wage sectors such restaurants to higher wage areas such as technology. The owners of Tim Hortons could improve profits though the introduction of technology. I notice that McDonalds has automated kiosks where you can both order and pay for your meal. Higher minimum wages are a boon to the economy because businesses save costs by keeping experienced workers and reducing training costs; productivity and profit margins are improved; and local economies are enhanced with worker’s new spending power. The promise of technology was that leisure time would increase. That hasn’t happened, at least not in the manner expected. The number of hours at work has decreased over the decades but not at the rate expected. Europe has seen a significant drop but the U.S. and Canada are relatively steady at about 34 hours per week. Why is the promise of technology realized in Europe and not North America? In a word: unions. When the Great Recession of 2008 hit France, instead of laying people off, workers shared jobs as negotiated by their unions. In Canada and the U.S., the choice was stark: either you had a job or didn’t. Once the recession eased, French workers continued to share jobs. The French work fewer hours with greater productivity. France has 29 per cent greater productivity than Canada and the French work 16 per cent fewer hours. The French are more productive when they are on the job. Canadian and American workers have increased leisure time in an unexpected way –they relax on the job. In a survey, Salary.com found that that 89 per cent of workers admitted to wasting time at work. An increase in productivity due to technology is offset by goofing off on the job. Of those who admitting to time theft, one-third wasted 30 minutes, one-third admitted to one hour, and one-third to up to 5 hours a day. The top time-wasters were talking and texting on the phone, gossiping, internet and social media, breaks, distraction of noisy co-workers, meetings, and email. Examples of what employees were caught doing are: caring for a pet bird smuggled into work, laying under boxes to scare people, wrestling, sleeping while claiming to be praying, and shaving legs in the women’s washroom. When these hours are subtracted from the time spent at work, the actual time spent working is only 29 hours per week. Because the work is being done in fewer productive hours, productivity is actually up by 2.3 per cent. But you can’t say that workers who goof off at work are actually relaxing. If I’m hiding under a box waiting to scare passersby, I’m aware that I could be caught and disciplined, even fired. Importing European solutions, like shortening the work day, is not easy. North American individualism creates a different work ethic and Corporate America has exploited that ethos. There is a sense that hard work and long hours are the key to success. And where the Puritan Work Ethic fails, corporations instil the fear of job-loss when workers try to organize. The editorial was referring to a conference of the Centre for the Study of Living Standards, held January 21 and 22. The CSLS is a Canadian organization which serves as an intermediary between the academic community and public policy makers. One of the presenters at the conference, Jim Stanford, was not so gloomy. Stanford, an Canadian economist who is not a spokesman for Prime Minister Chretien, reported to the conference that productivity is actually higher in Canada for a handful of sectors, including the automobile manufacturing sector. The auto industry is one of a few manufacturing sectors in which Canadian productivity exceeds that of the United States, and the Canadian productivity advantage has grown through the 1990s. In 1998, for example, it took an average of 22.6 hours to make a vehicle in a General Motors plant in Canada compared to 32.6 hours per vehicle in the United States. The differences were less at other plants, and varied year to year, but on the average, Canadian productivity was 20 percent higher throughout the 1990s. Productivity is often confused with work effort. Some Canadians argue that if workers just worked harder, or if the unemployed were made more desperate for jobs by cuts to welfare and unemployment benefits, productivity would increase. Desperation and unskilled workers contribute to a decline in productivity. If the effort expended by workers was a significant factor, productivity would be highest in third world countries where people work very hard. In Mexico, for example, it takes 39.4 hours to assemble the same vehicle that would take 22.6 hours in Canada. Unions are also sited as factor in reducing productivity. Rigid collective agreements and the work-to-rule mentality of employees, the thinking goes, reduces productivity. But Canada’s automobile industry is highly unionized; approximately 90 percent for assembly plants, and 50 percent for auto parts plants. Unionization in the United States is only slightly lower for assembly plants, and much less in the parts industry (20 percent). Reduced work time has been implemented by the Canadian union. The Canadian Auto Workers has negotiated 2 paid weeks off per year (called Scheduled Personal Absence) in addition existing days off. Since productivity has been growing faster than vehicle demand, a reduction in work time has kept employment levels up. One of the main ingredients in productivity is investment, which forms part of what Jim Stanford calls the “virtuous cycle”. Investment in new technologies improves productivity — more products are produced per worker. This, in turn, generates a lower unit-cost for the product, resulting in more profits and capital to invest in production and labour. Investment in labour also increases productivity. When workers are well educated and trained for jobs, labour becomes a valuable asset. Investment in skills and capital investment both increase productivity. Unfortunately, productivity is not good in other sectors of Canada’s workforce. Decreases have been a result of the deliberate actions of some large companies. By shedding employees, companies have improved their financial picture for the short-term, but decreased national productivity. That’s because laid-off workers end up in low paying wages or in self-employment with very little access to technology and information. These companies have increased profits by reducing employee costs and by not investing in new capital equipment and information technology that would improve efficiency. The strategy is short-sighted because it trades long-term investment for short-term gain. Since the federal government hasn’t attempted to develop legislation that make it more cost effective to keep employees, rather than dump them, I assume that government finds the resulting drop in Canadian worker productivity acceptable.